Choices Matter More Than Abilities: “How to Play” vs. “Where to Play” - Something New Everyday! 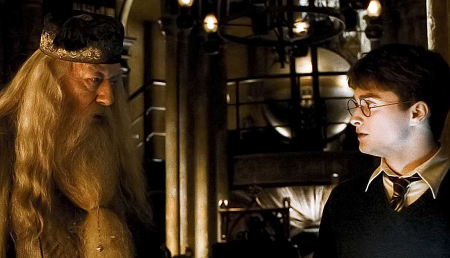 In Harry Potter and the Chamber of Secrets, Professor Dumbledore tells his protégé, Harry, "It is our choices that show what we truly are, far more than our abilities." With this statement, Dumbledore stakes a position at the heart of an age-old debate about the keys to success. The debate is applicable to people, companies, and even nations. How to Play: This side of the debate attributes success to the quality of work rooted in current capabilities. The logic being that the prudent risk-adjusted strategy is to focus on what we know, what is already working, and what is getting better at it. There is of course, more certainty in such a view, and it keeps the engines running. This may translate at a large firm as, "Let's continue to drive operational efficiency in our factories and beat the competition with our operational advantage." At a personal level, the narrative may be, "Study hard, put in your 10,000 hours, and become the best in the subjects being taught in school." Where to Play: This side of the debate (which includes Dumbledore), attributes success to the quality of tomorrow's choices and making a bet on new journeys. The argument is, "Let's figure out what will be important next and though there is risk, we must bet on it". There is more risk in this view and not only does one have to get the "next thing" right, the execution toward and during the "new thing" must also work. At companies this would sound like, "What are the adjacencies we should grow into? Can we funnel dollars from the low-growth, high-margin businesses to higher growth businesses?" A personal interpretation would be, "Instead of just focusing on my current responsibilities, what should I learn for the future me?" For example, "how to play" would be Coca-Cola driving efficiency in their bottling plants and supplier negotiations. While entering new businesses like coconut water or Coke+coffee (Coke Bläk) would be in the "where to play" category. So, which is more important? Gain or loss of market share in an existing business (e.g., Coca-Cola driving efficiency and share in the carbonated drinks business). Using our definition, the first two account for "where to play" since they depend on choices about where to compete. The third is the "how to play." The results were conclusive irrespective of industry. McKinsey & Company found that 80 percent of growth is based on "where to play" and 20 percent is based on "how to compete" (or play). That's a four times or 400 percent difference. Many of us may intuitively feel future choices should play a larger role in growth; still, a four times or 400 percent difference is quite startling. Here's another way to think about it. Most real estate companies in the Middle East and Hawaii during their boom years made money – a case of being in the right place at the right time. And most companies in the semiconductor industry struggle (where margins are a few points above zero). So the average company in a hot real estate market is far more successful than one of the best companies in the semiconductor industry. As Warren Buffett said, "When a bad industry meets a good manager, the industry wins." If "where to play" is the bigger growth driver, there are several questions that need to be thought through. For example, even though it does not help as much with growth, does "how to play" play a disproportionate role in protecting the downside risks? Is the volatility of a strategy focused on "where to play" greater? Is there an asymmetrical risk-return scenario where doubling down on "how to play" and "where to play" lead to higher risk adjusted returns? While these questions are valid, the role of "where to play" in growth is irrefutable. So, let us turn our attention to how we apply this understanding to our personal and professional lives. If "where to play" is four times more important than "how to play", and it intuitively makes sense, are we allocating our time appropriately in our personal and professional lives between future choices (where to play) and our current capabilities (how to play)? What percentage of our time and effort do we spend on the "where to play" questions? What skills do I need to build for the future me as markets shift? What training or reading should I be doing today to prepare myself for the changing tomorrow? For most people this is just 5 -10 percent. The most common refrain being, "I'm so busy handling the challenges of today that there is not enough time to think about the choices of tomorrow." Now compare that with what percentage of our time and effort we spend on the "how to play" questions. "How can I complete all the tasks on my plate? How I can make my current assignment incrementally better? Where can I apply the skills that I know?" For most people, this is as much as 90 to 95 percent of their time. I am not advocating that we spend 80 percent of our time on "where to play" because solving the challenges of today lays the foundation for tomorrow (by building credibility and honing our skills). I am wondering if "where to play" is four times more important than "how to play", why aren't we spending more time on it at all? As a thought experiment, let's say Amy owns $10,000 of Apple stock. And her friend Sally owns $10,000 of Amazon stock. Sally decides to sell her Amazon stock and buy $10,000 of Apple stock. Now, unfortunately, Apple stock drops by 10 percent and both Amy and Sally lose $1,000 each. Who is unhappier – Amy or Sally? Though the economic loss in both cases is the same, Sally is a lot unhappier than Amy because of the narrative they tell themselves. For Amy, the 10 percent loss happened to her since she was already an owner of Apple stock. For Sally, she brought the loss onto herself by her own actions. She purposefully committed to something that did not work out. The "where to play" decisions carry the burden and discomfort of purposeful commitment going wrong. Hence, most people avoid it. It is much easier to continue what we are doing, and if something does not work out, then take comfort in the belief that it happened to us than do something different and bring the misfortune onto ourselves. Two Strategies to Decide "Where to Play"
Fewer, stronger choices "Warren Buffet's longtime partner, Charlie Munger, suggests in Poor Charlie's Almanack that we make fewer choices. When Buffet speaks at business schools, he tells students he can improve their finances by giving each student a 20-punch card, with each punch representing all the investments one can make in a lifetime. You'd have to think long and hard about each decision and load up on it, but would do much better financially. Unconditional First Move Avinash Dixit's book The Art of Strategy: The Game Theorist's Guide to Success in Business and Life uses game theory to demonstrate how committing to an unconditional first move can help our "where to play." Let's say you want to get up every morning at 5am to exercise. Your "nighttime self" is excited about creating a healthy start to the day but in the morning, your "nighttime self" wants to sleep in. What game can you play to ensure your "nighttime self" wins? You can win the game with yourself by setting up an unconditional first move such as setting an alarm to ring across the room, forcing you to get out of bed to turn it off. Another example is a game of chicken in which two people in cars race toward each other and the first person to swerve is the loser. What unconditional move can you make to be sure you win this game? What if you removed the steering wheel from your car, thereby removing your ability to turn? This would be a clear message to your competitor that "I'm not turning back." There is obviously more to driving growth than the "where to play" choices. In some cases, to protect the downside, "how to play" is the right choice. But the real point is to drive explicit decision-making as much as we can. There is certainly room for, and value in the serendipity in life, but that is not the same as ambling through the journey aimlessly. Steve Jobs told Stanford graduates at a commencement address in 2005, "You can't connect the dots looking forward, you can only connect them looking backwards." And indeed, we all want to trust, as Jobs said, "that the dots will somehow connect in your future." When we are aware, conscious, and explicit about our choices, we all make better decisions for both who we are today and our future me.